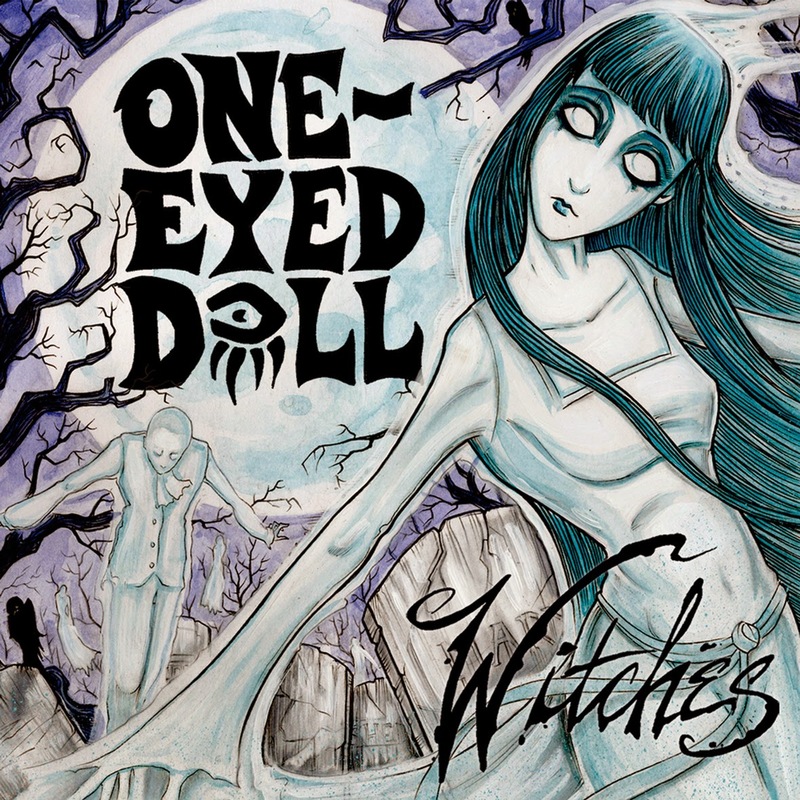 Austin, TX rock duo One-Eyed Doll will release their new album, 'Witches' on Standby Records on March 24. The LP is now available for pre-order here. The band has announced a tour in support of the record, which kicks off on March 4th in Grand Junction, CO and runs through May 1st. See dates below.Tickets available here. “Even though this is probably our heaviest album yet, it was written almost completely on banjo and mandolin in the Redwood Forest near Santa Cruz, CA,” drummer “Junior” Sewell boasts. “It has this great "forest metal" vibe. It was also all written at once with several melodic themes that appear throughout the album." One-Eyed Doll have gained an exceptionally loyal and rapidly growing fan base since 2006 with consistent touring, a solid memorable live performance, and a DIY connection with the fans. The band's live set is an interactive fan-friendly experience that's both heavy/sinister and sweet/vulnerable. Their darkly humored, intense, sometimes quirky and theatrical rock and roll captures the hearts of metal, rock, goth and punk all-ages audiences night after night. We're excited to be releasing our new album, "Witches" with Standby Records on March 24th, 2015. This is by far the best thing we've ever made, and it's amazing to have a talented and enthusiastic team to help us get it out there.